There aren’t too many network dramas from 1990 that still inspire viewer marathons and high-quality Blu-ray releases today. Of course, calling Twin Peaks a “drama” is like saying Orange is the New Black is a comedy. The label feels slight and fails to do justice to the original qualities of the series. Several decades later, I’m still thinking about Bob, the Log Lady, the Giant, and the Black Lodge. I want to know what really happened to Josie and still hope that Agent Cooper can escape his tragic fate. 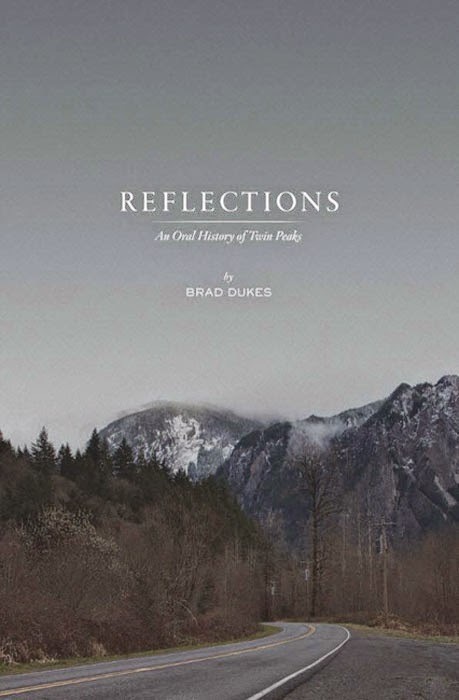 If you’re like me and obsessed with these topics, Brad Dukes’ Reflections: An Oral History of Twin Peaks is the book for you. Nearly all the major cast and crew members speak warmly and openly about the experience of making the classic series. It was a true television landmark, and we’re still feeling its impact today. Dukes provides a chronological history that does a lot more than just restate the well-known stories. The 310-page book feels like it could have been twice as long, and that isn’t just hyperbole. The reason is the wealth of untapped material from nearly every participant. It was a remarkable cast with veterans like Piper Laurie and Russ Tamblyn alongside new faces like Sheryl Lee and Sherilyn Fenn. They bring plenty to the table, and hearing from so many of them is a treat. While most had great experiences, there were some exceptions. Fenn speaks openly about frustrations with her character’s direction in the second season, and her candor is refreshing. Once Audrey’s relationship with Cooper was nixed, they didn’t have a great idea of what to do with the character. Lee also describes the turmoil in portraying Laura Palmer and how the distress made a permanent impact. Along with playing a dead body, she also shot one of the most terrifying death scenes in TV history. I can still remember watching Maddy’s final scene as a 14-year-old in 1990 and having an awful time with it. Plus, they shot the same sequence three times over an entire day. How could anyone experience this brutality (even as an actor) and not be affected? Lee calls it “probably the most difficult day of work that I’ve had in my whole life”, and that’s totally understandable. Laura was her first role in front of the camera, and that’s quite an introduction. She’ll always be known for this character, and it wasn’t an easy part to play given all the nastiness towards her in the show and the prequel film. It’s no huge surprise that we don’t hear from David Lynch in this book. He isn’t the kind of filmmaker that gives detailed interviews about the creative process. 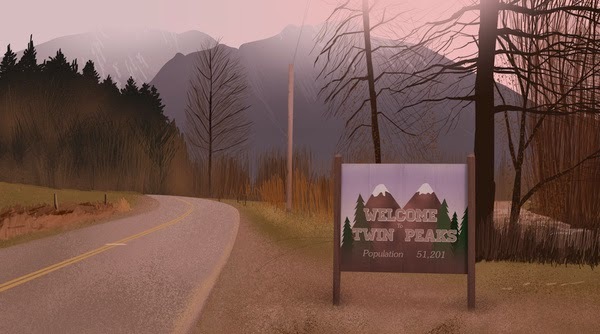 Thankfully, Mark Frost fills in many of the blanks from our understanding of Twin Peaks. Lynch gets most of the credit, but it’s clear it was more of an equal collaboration. Both guys brought their own skills, and the combination led to such a unique series. It’s too bad that both drifted away in the second season, and you can feel their absence when certain story lines go off the rails. There’s a clear shift in tone between the sections on the pilot and first season with the final episodes. We hear a wide array of different theories on the reasons for the quick downfall. Many blame the network for moving the show to Saturdays and not believing in it, and that certainly played a role. However, maintaining the momentum was also challenging on the creative side. This a show that could run for 10 years. Given the continued interest in Twin Peaks, it’s remarkable to realize how few books exist about it. There were several tie-ins during its run, including The Secret Diary of Laura Palmer. A compilation of critical essays, Full of Secrets, was released in 1994. There was a definite need for this type of oral history from the people directly involved in the show. It reminds me of just how many brilliant artists were involved in just 30 episodes of television. People like Ray Wise, Lara Flynn Boyle, and even Don S. Davis have found success in other projects, but plenty have barely appeared since that time. A guy like Eric DaRe was chilling as Leo Johnson but has few acting credits. Many will appear in a guest role here and there, but few are as memorable as they were on this show. This book provides a family reunion of sorts by connecting all their interviews into a smooth conversation. It’s a must-read for the countless fans of this continually spellbinding show. The clever mix of laughs, scares, and flat-out weird moments has never been seen again on television. If you're interested in this book and Twin Peaks, you should also check out Joel Bocko's great interview with the author at the Lost at the Movies blog. "Given the continued interest in Twin Peaks, it’s remarkable to realize how few books exist about it." Yes, this nails it. There's another book on the horizon as well - Wrapped in Plastic, by Andy Burns - but for until this moment in TP history, almost all the literature on the subject has been compartmentalized in books on Lynch, which naturally are going to look at the series only through the prism of his career (a great perspective, don't get me wrong, but limited). Totally agreed about Sheryl Lee. The most powerful part of the book, to me, was the section dealing with her death scene. As I said to Brad, I wish there could've been a bit more on FWWM though I understand why he needed to limit it to the series. Perhaps a sequel! And thanks for linking the interview. 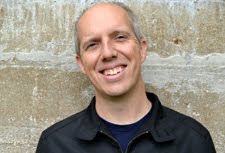 I really loved this book, and it was a pleasure to talk to its author. It's a good time to be a Twin Peaks fan might now, for so many reasons. I hadn't heard about Wrapped in Plastic, so thanks for the info. I agree that it didn't say much about FWWM, though I'm guessing he didn't want it to become too long. No problem on mentioning the interview! It's how I found out about the book. Wow, this sounds like a must read to me. It sounds incredibly in depth and insightful. If we can't get behind the mysteries of the show, we can at least get behind the scenes, right? Definitely! I love this type of oral history, and having an entire book about one of my favorite shows was incredible.